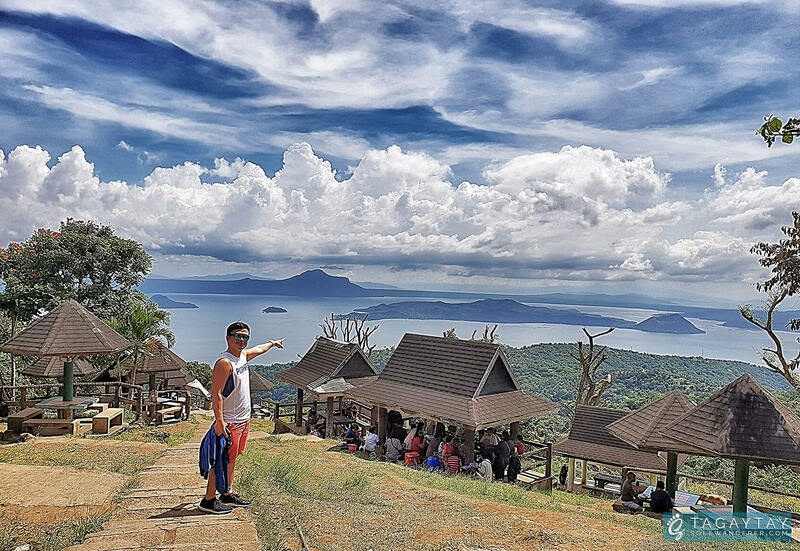 Trekking to Taal Volcano is definitely one of the things that you shouldn’t miss when visiting Tagaytay City. 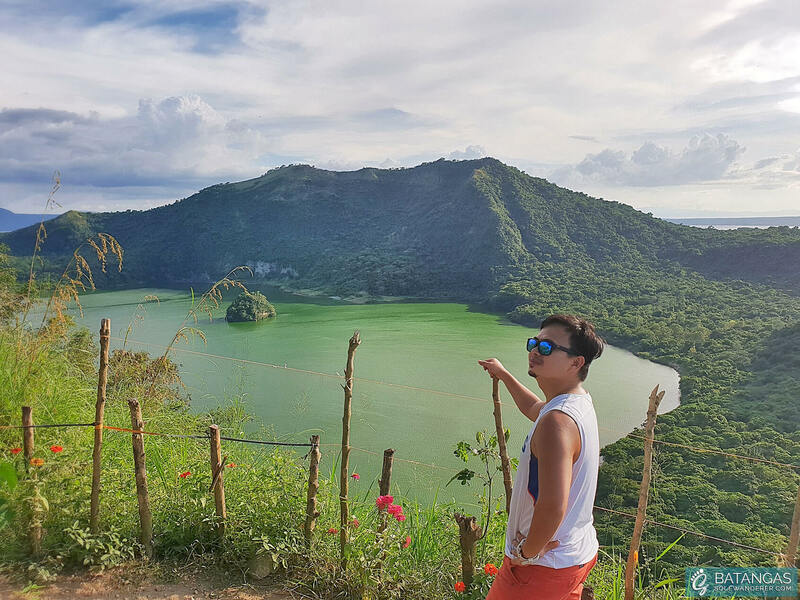 One need not be an experienced mountaineer nor need to prepare trekking gears to explore the superb view at the top of Taal Volcano crater. Taal Volcano is a geographical wonder of the Philippines where a volcano is within a lake and a lake within a volcano. This is the second most active volcano in the Philippines and is considered as one of the most visited tourist spots in the country. 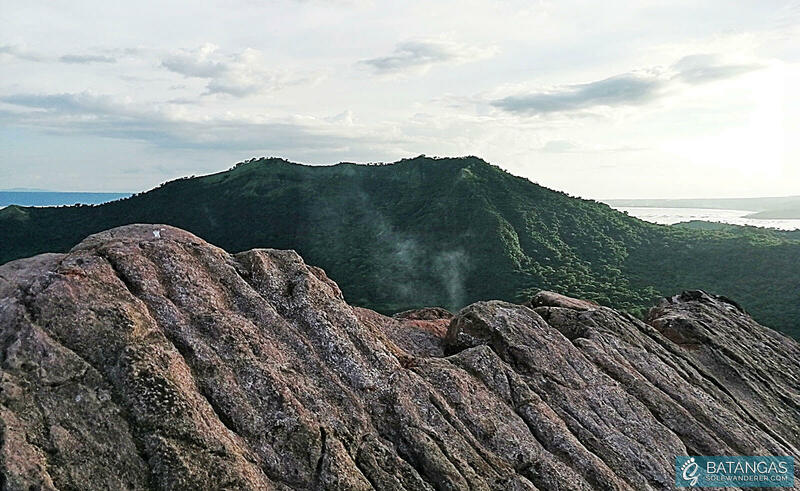 Allow us to share our arbitrary trekking adventure through the top of Taal Volcano. It wasn’t our plan to trek Taal Volcano on that day as we hovered only at the Picnic Grove for quite sometime. A few moments passed, we met this tour guide while wandering at the Picnic Grove area and he had been following us while convincing persistently to avail his Taal Volcano Tour. The negotiation went real quick since we can’t do any other activities at Picnic Grove (we are both afraid of heights) other than sightseeing. We don’t have the fortitude to try the Ferris wheel, zipline nor ride the cable car. Round-trip tricycle lift from Picnic Grove to Talisay Bay, Batangas (where the boat is waiting). 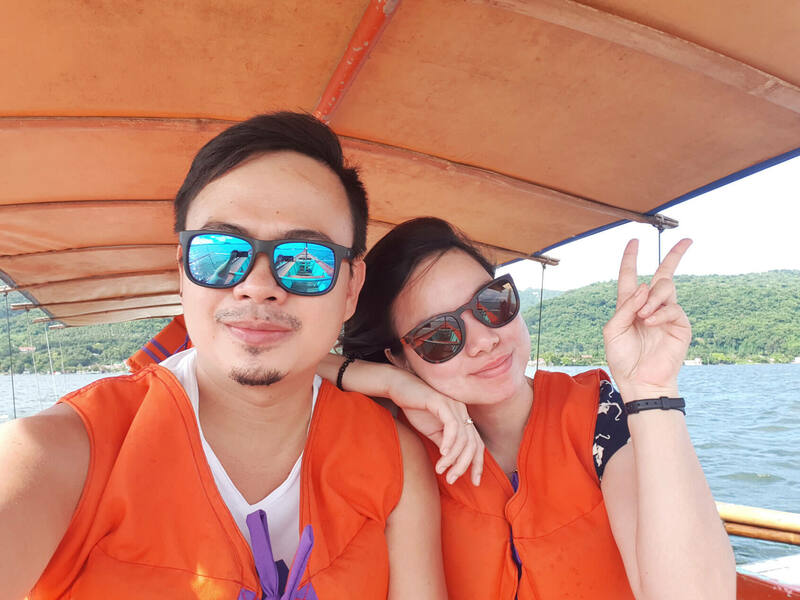 Round-trip boat ride from Talisa Bay to Taal Island. The adventure begins at the Picnic Grove where the tour guide thereat brought us to Talisay Bay via tricycle. The trip was not easy than what we expected it to be which lasted approximately 30 minutes. We felt thrilled and agitated at the same time due to its steep, curve roads and the driving skills of our tour guide. 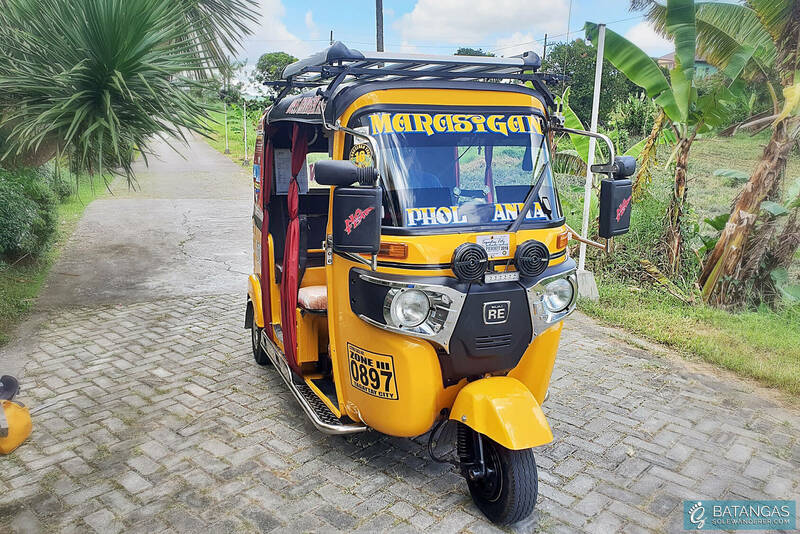 One of the few tricycle designs operating around Tagaytay. This becomes our usual mode of transportation for three days. If given the chance, we could have ridden a jeepney or asked our tour guide to slow down his driving. But, obviously, we are a bit short of time since it was already past 2:30 PMwhen we arrived at the docks. Before we ride the boat going to the island, we first had our late lunch at the resort because we were starving. While waiting for our food to be served, we’ve seen tourists departed from the docks (most of them were foreigners) in which the number per group is variable. Some went solo and others were in a group of two to three. After we had our quick yet filling lunch, we started the adventure with the go signal from Jessie, the “bankero” or boatman hired. We noticed that the course was a bit rough and bumpy causing the waters to flash on our faces and that we need to cover ourselves as well our things with a tarpaulin to avoid getting wet. This is probably due to the boats passing back and forth with the same route. A perilous journey on our way back to Talisay Bay! The boatman let me handle the stirring wheel and ‘twas a catchy experience for me. Nevertheless, the whole navigation went safe and enjoyable. We even took pictures of the panoramic view while sailing. 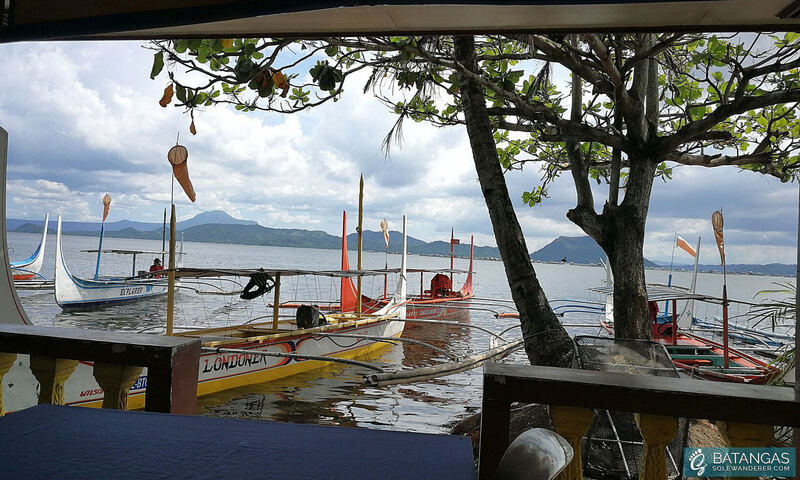 The boatman pointed the Mt.Makiling which is located on the border of Laguna and Batangas province. It was very visible from our location during the sail but is quite challenging to grab our mobile phones to capture. Thus, we prefer to just enjoy the wondrous island. While sailing, we passed by a volcano-like mountain which is commonly misunderstood as the crater by many. That is actually named as the Binintiang Malaki. The real Taal crater for everyone’s information is behind it — it cannot be seen from a distance unless through an aerial viewing. 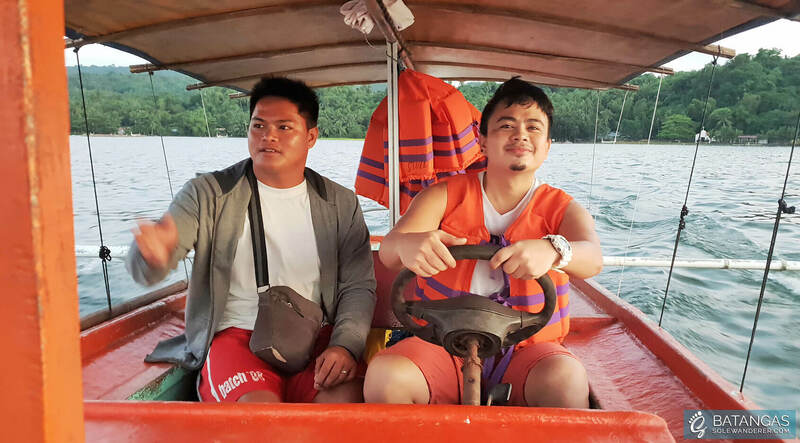 We arrived at the docks of Taal Volcano Island in approximately 25 minutes. Right after we got off from the boat, we are greeted by the welcoming locals and then they brought us to the registration area where the horses were positioned for a horseback riding. They also informed us that we need to pay a docking fee of Php 50, which we chose to pay after ourtrekking. On our way to the registration area, we saw a couple of horses in an open stable — on standby for a crater trip. We felt sorry for the horses, as they were still young to carry people. Few horses were small-scaled to carry tall and heavily built people. You have the option to go on foot or by horse. For the sake of experience, we just hired one for horseback riding through the top of the crater. When we started the trek, we were informed that it will take us 45 minutes to reach the top of the volcano. When we started the trek, we passed by many houses and that there are plenty of people living in the island despite tagged as a “permanent danger zone” by PHILVOCS (Philippine Institute of Volcanology and Seismology). They got electricity from a generator but is limited for few hours usage. The trail going up to the top is clear from obstacles and straight except for the last few minutes nearing the crater. The guide said that there are two trails going up the crater but decided to take the easier path as we need to go back down by 5:00 PM the latest. The whole experience did not go well. As first-timer, it hurts my back and I felt so uncomfortable as I was having a hard time to balance my sitting position. With a feeling of guilt, the horse actually slipped a couple of times and lose its balance. It was not because of the slimy mud and sometimes of steep pathway, but for a very honest reason that my weight is incongruous to the size of the horse. 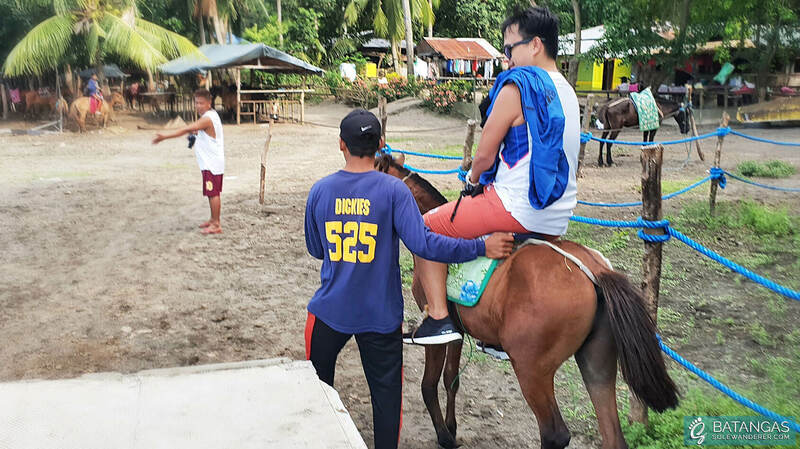 The horse was really struggling during the whole journey, but the guide assured us that the horse was just fine. I hold in high regard thankfully how the horse give it one’s best shot and did a great job carrying me safely. When we reached the spot, we took a break and sat on a bamboo chair. We found the vendor’s gesture weird, forcing us to buy some drinks for the guide either “buko” or “gatorade”, where in fact, we were also exhausted as first time visitors of the island. Also, it was a bit irritating when vendors urged us to purchase their souvenirs which were pricey. Still, we bought the stone figurine and fridge magnets for our collection. Picturesque view of the Taal Lake from the first viewing deck. This is our first stop where we put one’s feet up for few minutes before we reach the crater. 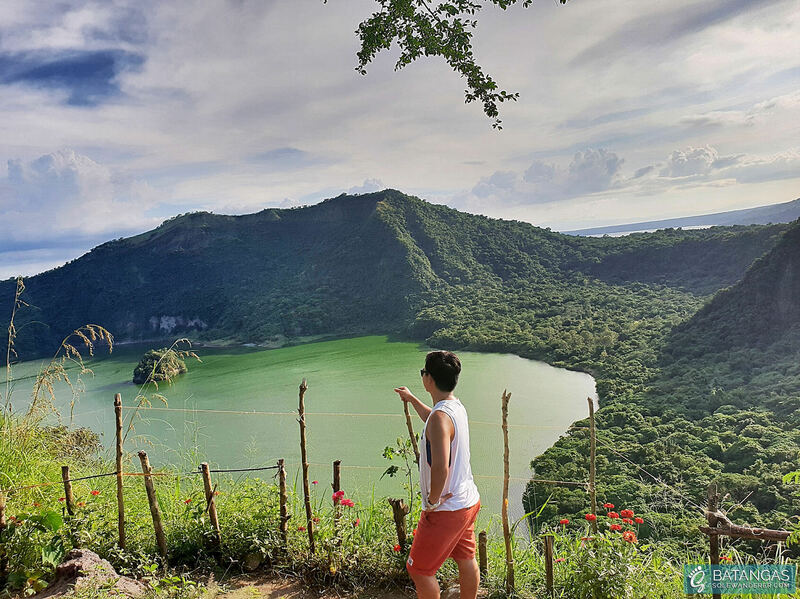 It took us 40 minutes exact to reach the top and 5-10 minutes to reach the crater and see the view of the whole Taal Lake, the Main Crater Lake within the volcano, and the Vulcan Point Island in the center point of the Main Crater Lake. We savor every moment at the top taking pictures of the view, selfies, and videos with excitement despite the heat of the active volcano. The heat was not just from the sun, but from the warm grounds of Red Lava and the steam vents coming out from the rocks/grounds/cracks with a scent of sulfur dioxide. 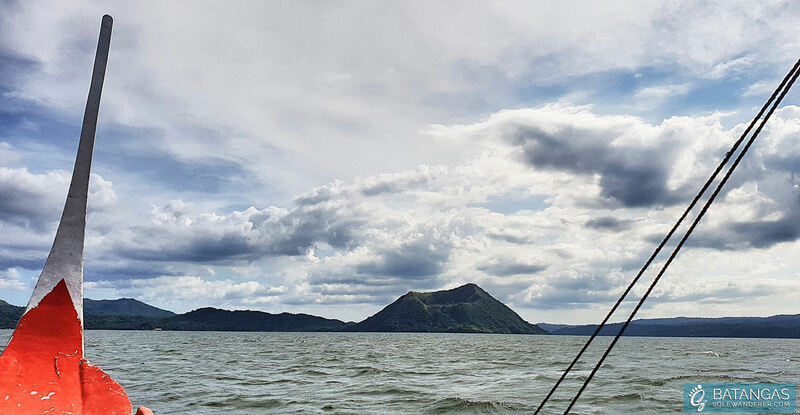 These are the highlights of our Taal Volcano adventure. Though unplanned, we were glad that the venture went successful and safe. 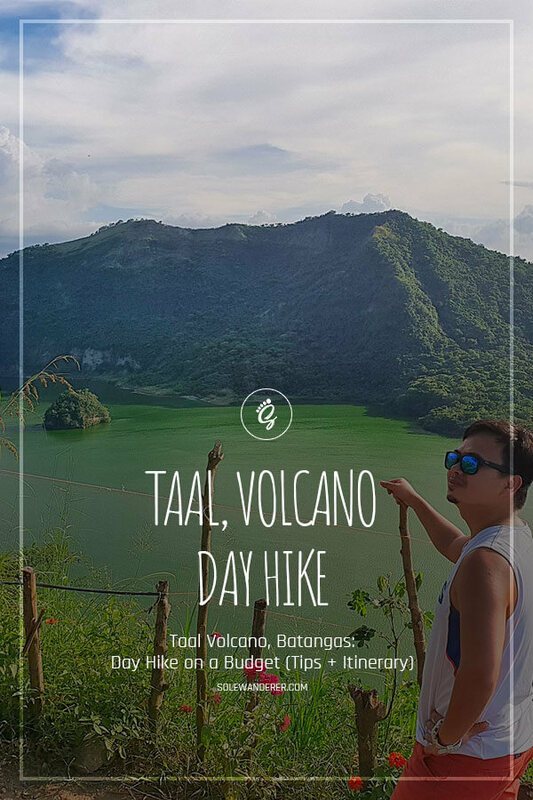 We are not professional mountaineers and we don’t trek often, but, we confidently recommend Taal Volcano day hike to everyone. 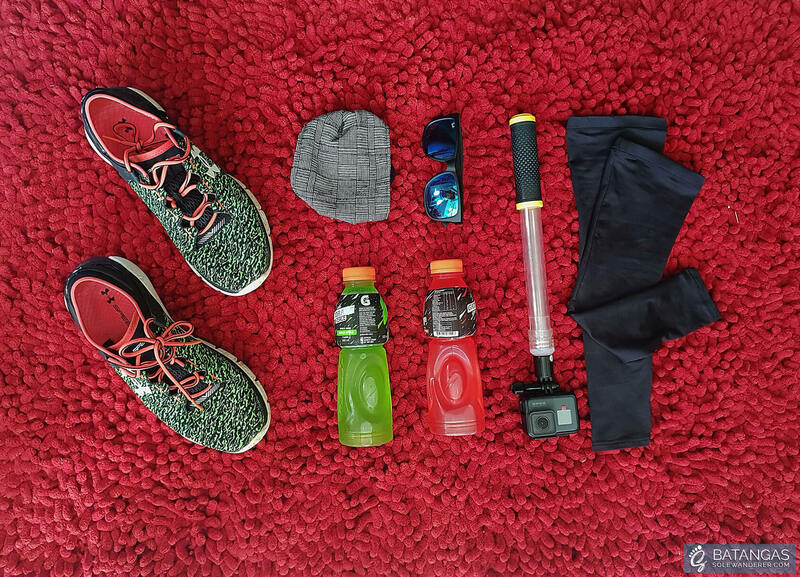 It is really worth the hike and exude sweat! Hello Ricci Ann Chiu. You may contact Joseph at +63 915 714 1819. Hi do you have a contact number of your guide to taal lake?